Christie® , a leader in creating and sharing the world’s best visual and audio experiences, is pleased to announce the opening of an “all Christie” cinema complex boasting its state-of-the-art cinema projection and immersive audio in Taichung, central Taiwan. All cinema halls also have line array and surround speakers from the Christie Vive Audio LA Series, S115, S215 and S218 subwoofers, as well as CDA3 and CDA5 Class D amplifiers – providing a hyper-accurate audio experience and unlocks the full dynamic range of DCI digital cinema audio and supports leading formats such as Dolby Atmos®, 7.1 and 5.1 surround sound. The Christie Vive Audio system continues to establish its reputation worldwide as the next standard in immersive sound for cinema. 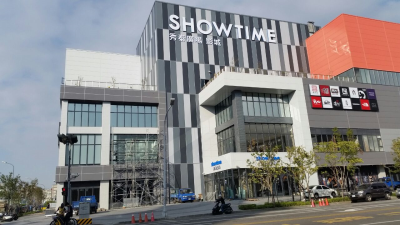 Taichung Showtime Cinemas is also the site of the 400th Christie Vive Audio cinema sound system to be installed worldwide.